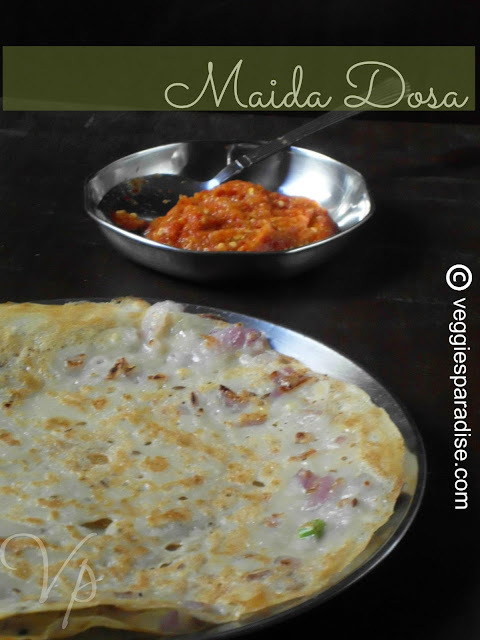 Maida Dosa Recipe : This is a simple version of dosa with maida which is flavored with onion,green chillies and cumin seeds. It is served with chutney preferably which is hot and spicy . 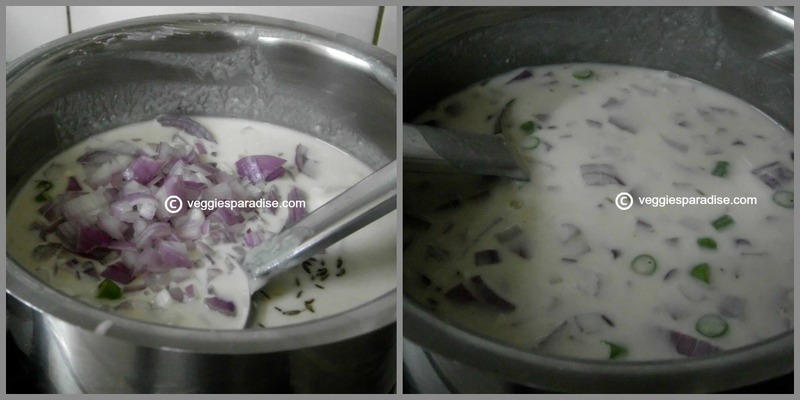 In a mixing bowl, combine the maida with salt, pour in enough cold water to make a batter of pouring consistency. Tip in the chopped onions and chillies, mix it well. Heat a tawa, when it is hot enough pour two ladleful of batter in a circular manner. 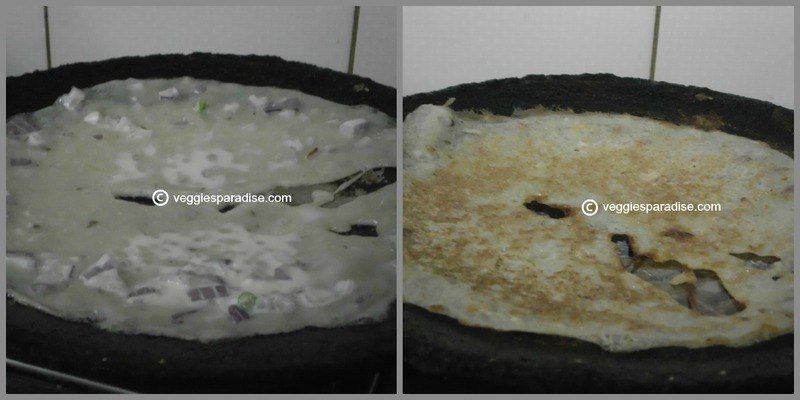 Drizzle oil along the edges and also in the holes of the dosa. 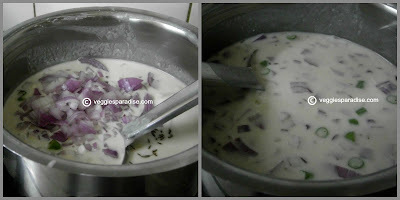 (the tawa should be very hot while you are pouring the batter). When the underside turns golden and spotty , flip the dosa and cook the other side by dotting the edges with little oil. Remove from the tawa. Make all the dosa similarly and serve it hot . In the blender, add all the ingredient and whizz into a thick and smooth paste. Add very little water if needed. This chutney will be spicy as well as have a raw taste of the onion and garlic. Add generous amount of sesame oil and have it with dosa. Hey Aruna!! instant dosas scare the daylights out of me..... but i guess i ll give this one a shot sometime.. and can i have your email id? never tried maida dosa, looks so crispy and nice..
Its been while i havent prepared this dosa, yummy dosa and droolworthy chutney. Looks crispy n yumm chutney!! I like this simple preparation without fermenting and grinding the batter. Fabulous breakfast recipe. yummy and delicious. Really that's an instant dosa.Easy so to prepare for the lazy mornings. Nice .. we too make it.. loved the red chutney..
wow...very yummy combo of dosa n spicy chutney...will try this for sure...inviting pics! quick and easy dosa... yummy.. Very interesting and quick recipe. 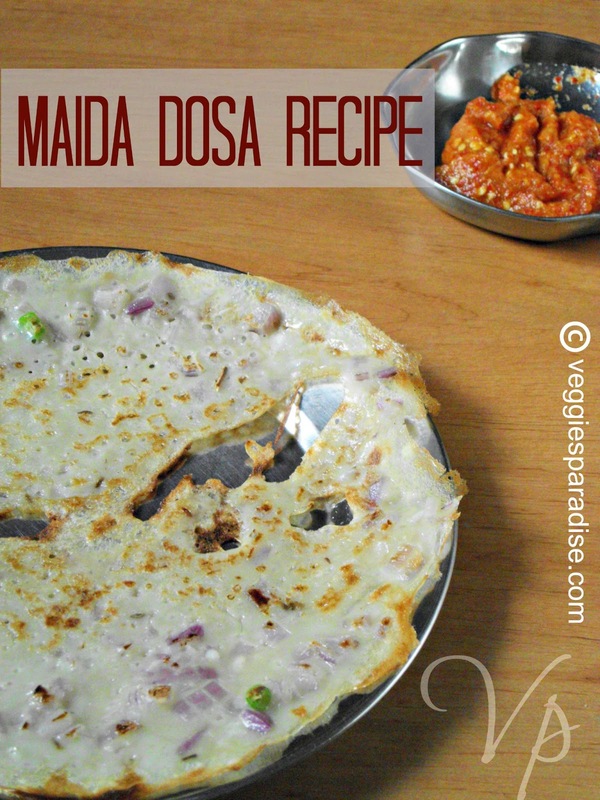 I usually make wheat flour instant dosa..your version looks interesting!